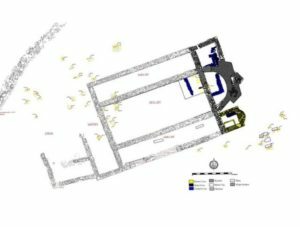 Şahin and staff from Iznik’s Archaeology Museum have carried out underwater excavations of the submerged basilica since 2015. The hot climate of the region means that the lake is filled with algae, which can reduce the visibility during the excavation dives to a few inches, Şahin said. The archaeologists use special vacuum equipment to carry soil from the underwater excavations to the shore, where it can be sifted for artifacts. Şahin said that the most important finds included several human graves beneath the basilica’s main transverse wall, known as the bema wall, referring to a raised platform used by the clergy. 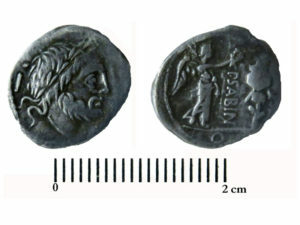 Several coins found in those graves date from the reigns of the Roman emperors Valens (who ruled from A.D. 364 to 378) and Valentinian II (who ruled from A.D. 375 to 392), which showed the basilica was built after A.D. 390, Şahin said. Şahin believes that the basilica was dedicated to St. Neophytos, who was put to death in Nicea by the Romans in A.D. 303, during the reign of the emperor Diocletian. Ten years later, in A.D. 313, the emperor Constantine the Great issued the Edict of Milan, establishing religious tolerance for Christianity throughout the Roman Empire; Neophytos became celebrated as an early Christian martyr. The city of Nicea itself became famous throughout the Christian world in A.D. 325, when Constantine convened the first council of church leaders there to determine the core beliefs of the religion, which he promoted throughout the pagan Roman Empire. If the plans for the underwater museum are approved, construction could begin this year and it would open to visitors in 2019, Şahin said. The museum buildings would include a 60-foot-high (20 m) tower, to enable the ruins to be seen from the shore, and a walkway out over the lake, above the submerged site itself. 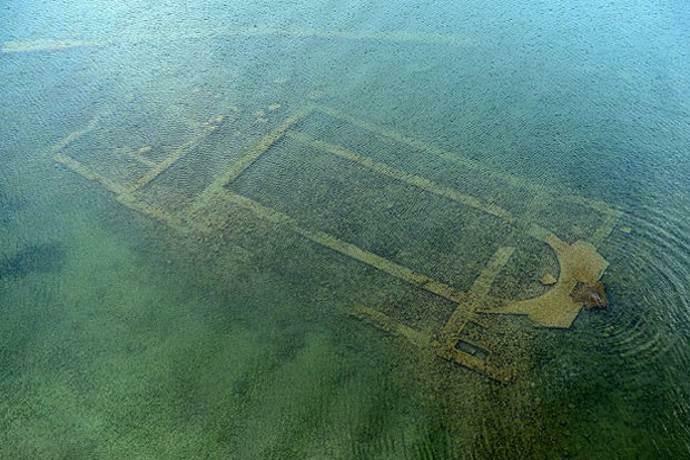 The museum complex would also include a diving club, so tourists could explore the sunken ruins, and an underwater glass-walled room in the nave of the submerged basilica where visitors to the ancient church could pray, Şahin said. Romans and Carthaginians have returned to Canne. 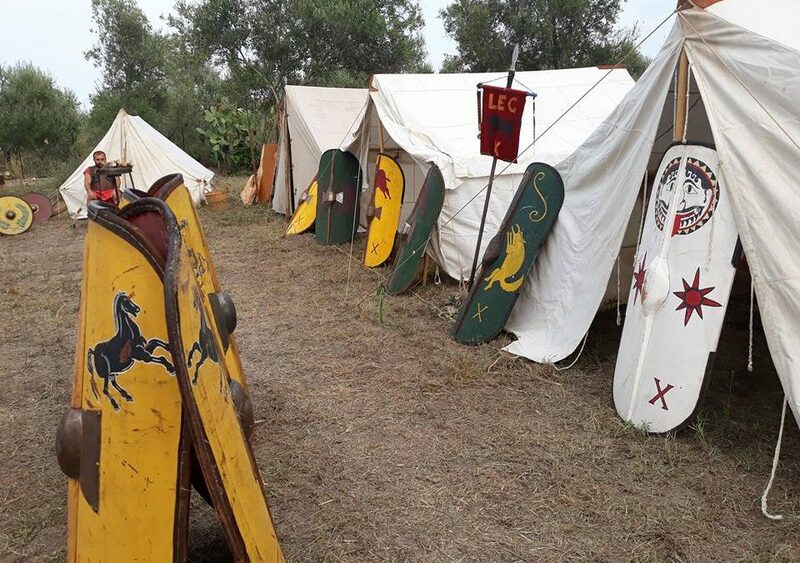 From Friday 21st to Sunday 23rd September, Romans and Carthaginians have returned to Canne, in the places where the famous battle between the Roman legionaries and the soldiers of Hannibal took place. 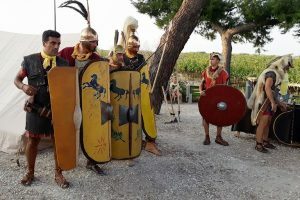 The encampments of Roman legionaries and soldiers of Hannibal was reenacted right in the Ofanto valley, in the places where the famous battle between Romans and Carthaginians took place, by the association Mos Maiorvm (one of the most important association of historical reenactment) in collaboration with the Antiquarium and the Archaeological Park of Canne. School groups and tourists were able to relive some decisive moments of Second Punic War and, simply crossing the road, visit the fascinating remains of the ancient settlement. 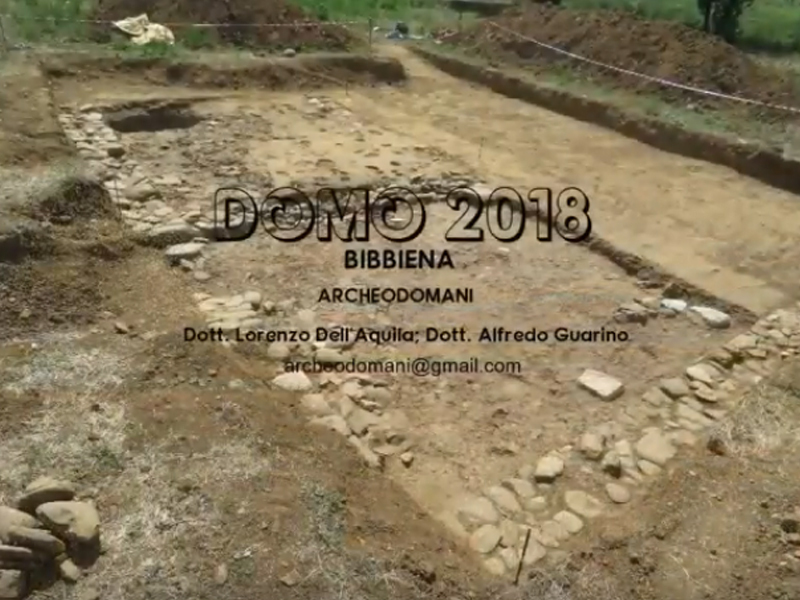 Here the first account of the Archaeological Research Campaign “Domo 2018” conducted between July and August in Bibbiena in the locality of Domo/Castellare by the scientific director Alfredo Guarino. 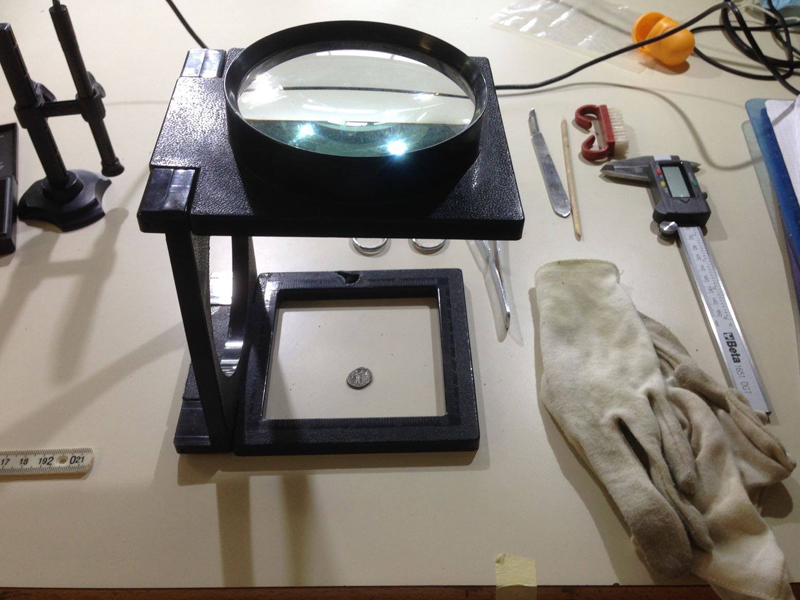 Students, professionals and enthusiasts have participated in the excavation, documentation and work on materials, coordinated by our team of archaeologists. As every year, a sincere thanks to the Municipality of Bibbiena and to the Archaeological Museum of Casentino for its welcome and availability. 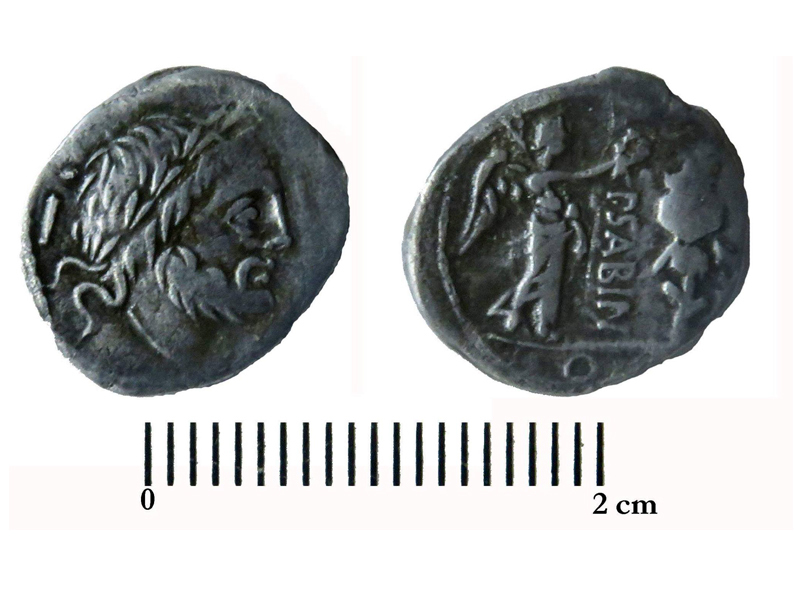 We have concluded the cleaning of the silver coin found during the Domo 2018 excavation campaign. On the two faces are now perfectly visible the head of Jupiter, the Victory (standing in the act of crowing a trophy) and the inscription P.SABIN. The elements confirm the comparison with a silver quart by Publio Vettio Sabino of 99 B.C. It’s very interesting because it’s a walking surface that covers the rooms that were demolished during the general renovation of the thermal area. The presence of the coin is therefore a chronological horizon of the former baths. 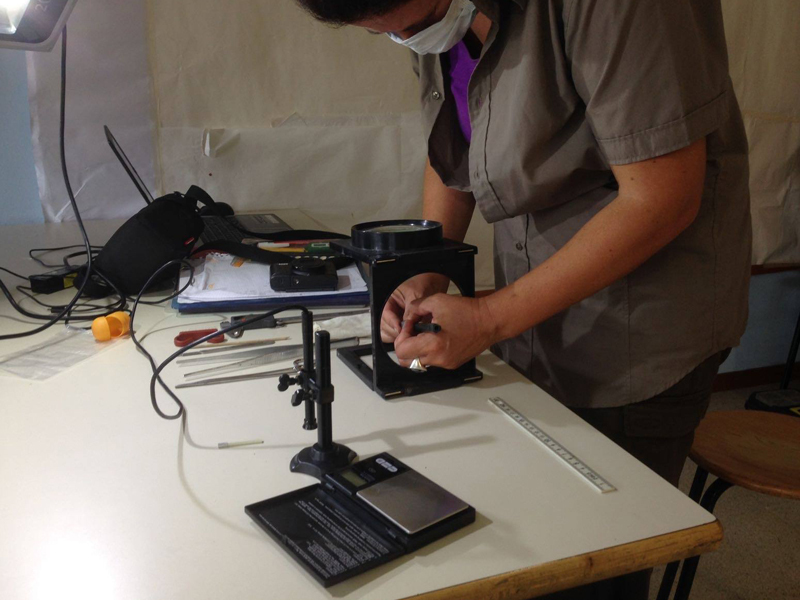 In the picture you can see the tools used for the cleaning such as a magnifying endoscope and an abrasive pen with fiberglass refill. 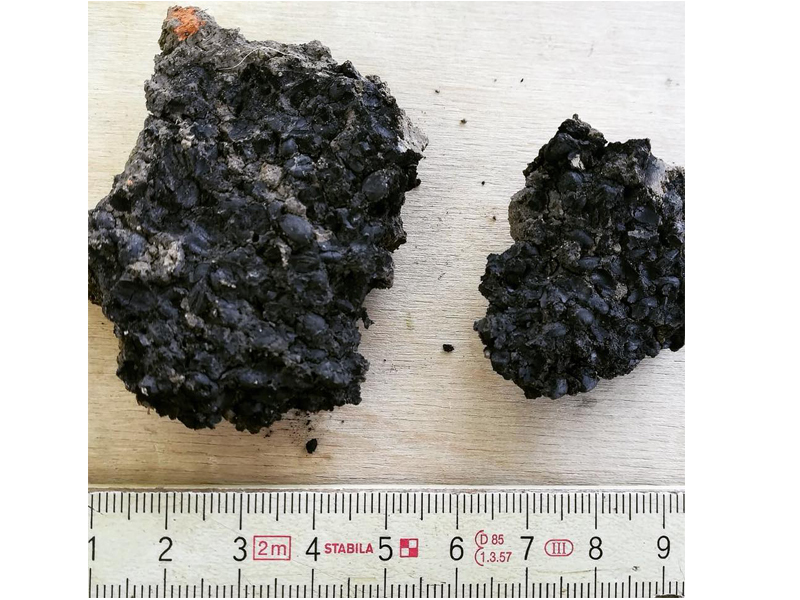 The third week of the Archaeological Research Campaign “Domo 2018” led to a funny discovery: carbonized seeds (probably cereals) coming from a beaten earth floor. Not only nightlife along the Tiber! The Teverestate event at Castel Sant’Angelo that runs until September the 2nd hosts an evocative photographic exhibition. 20 panels tells the story of the so-called “Spina di Borgo”, the area between Castel Sant’Angelo and Saint Peter’s Square, destroyed for the construction of Via della Conciliazione. At the beginning of the 19th century, Giuseppe Valadier was invited by the French administration to develop a project that included the demolition of the Spina and realization of a long route till the port of Ripetta. The controversial proposals were included in the various city plans. 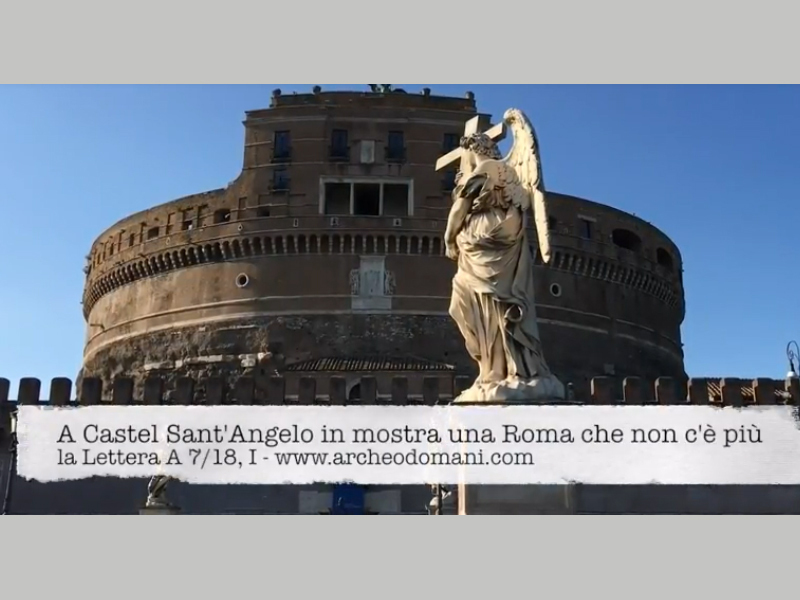 With the signature of the Lateran Pacts on the 11th of February 1929, the problem was solved by realizing a monumental road axis that connected Castel Sant’Angelo to the Basilica of San Pietro, the official reconciliation between Italy and the Holy State. The architects Marcello Piacentini e Attilio Spaccarelli were commissioned for the works that began in October 1936. Benito Mussolini himself gave the first stroke of axe on the roof of a house. Only a year later in 1937 the view from the two roman landmarks was open. However the exhibition is not limited to the chronicle of demolition activities. In between the photos that allow us to reconstruct the important phases and moments there are also proper witnesses of “romanity”.